Re: Is it possible to prepare for JEE mains in 1 year? Yes it is possible to prepare for JEE Mains in an year. You must clear the concepts of Physics,Chemistry and Maths which are there in 11th and 12th standard NCERT textbooks. It is not necessary that you cover all the topics but cover the important topics for sure after referring the last year's JEE Mains paper. Sir,i have got 63 in my mains and 75%in board exam and i have decided to take a drop bcz i want to study in nit's and now iam totaly determined bt bcz of my financial conditions iam unable to take tutions.so plz sir cn u tel me the books by which to get nit's and there cutoffs also some tips to get it.plzzzz sir tel me is there any chance? sir i belong to general category and i have scored 147 marks in jee mains 2014 and expectinng about 82percent in 12th mp board & i expecting 140 in jee advanced. will I get a good NIT, IIT or should I drop this year?????????????????????????????????? I have scored 125 in Jee Mains 2014, will I get a good NIT or should I drop this year. sir i have mainly read for h.s board exam. . i am sure that i will get minimum 84% in that. . .but my main ambition is jee main. .but i have nt been able to do good in this year jee main. .is this possible fr me to crack jee main after one year preparation?will i have to face any campusing prblm for dropping 1 year? I can understand your situation. first few thing which would help you is design your time table. By time table I not only mean your study but your daily routine. Reserve the last month for revision and mock papers. Keep revising the organic chemistry as it is very volatile and also the easiest section. If you remember the reaction, you will be able to play with reactions easily. Sir,time is passing day by day and till know i have done nothing much.i have just waste time.i have become the worst .now i have just 8 months left.and sir now i have realised that i have to get somwhere in life.sir,i am not getting right dirrection.i have to get in some colledge as my parents are saying that they will not spend any more money if i could n't get in to some.sir.i joined coaching which is about to complete the sallbus.sir please tell me correct way to prepare ,for what,etc.Sir from now i am ready to saccrifice all.sir will i be able to do something in life.also tell me how much i should study and i am average.how to be foccused.i am all confused.i have other DIStractions.i have reached near stage for sucite as i have no confidence on myself. In my point of view every thing is possible. But for that you have perfect planning, better involvement of your. It may be possible that after some time your strength decrease due to overconfidence or huge time for preparation. so that time you beware and prepare day to day time table. i want to ask that i m unable to get a good college this year after appering for jee mains i got only 80 marks is it possible for me to prepare for jee mains in 1 year to get into a good nit after dropping a year . Yes, of course 1 year is enough for a candidate to prepare for JEE Mains Exam. You can easily prepare for JEE Mains Exam in 1 year. >> Study at least 8-10 hours daily for the exam preparation. >> Join any good coaching institute for the preparation of JEE Mains Exam. >> Solve each Sheet and Assignments fully so that you may learn more and more concepts, techniques, etc. to solve questions. >> Solve previous year question papers 2-3 times so that you can track tricks and techniques to solve problems. 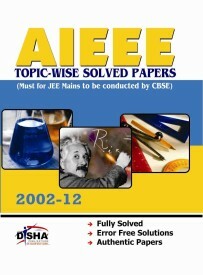 >> Purchase good reference books for the preparation of JEE Mains Exam. Since you have already done some preparation. One time would be sufficient for you to revise and prepare. You need to be determined about preparation. Is it possible to prepare for JEE mains in 1 year?